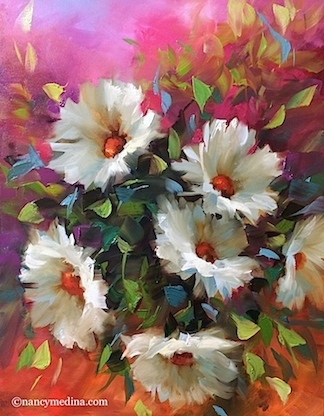 Pinkberry Daisies is the newest daily painting in Flower Mound Studio, actually the fifth in a series of paintings begun yesterday afternoon and ending right about now, (this evening). You could say I've been binge painting, covering every subject that has been tickling the muses. Sunflowers, blue and white irises, white daisies and pink stock, and more sunflowers, because one can never have too many sunflowers.... 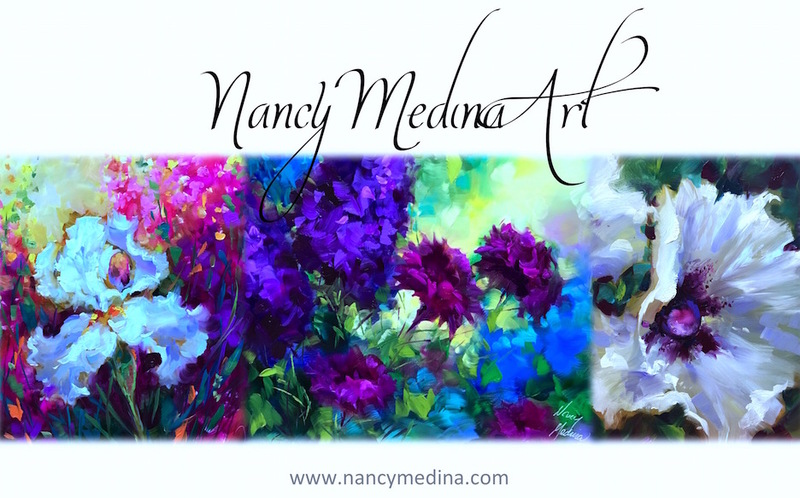 Almost always, I begin a painting based more on a color I want to play with, than a flower that represents the mix. 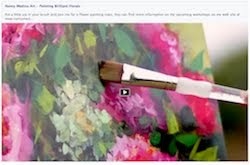 What have you been painting lately? Are you driven more by subject, or by color? Enquiring minds want to know!